US President Donald Trump appeared to slow down his decision to withdraw from Syria after meetings on December 30. This came just ten days after he had abruptly decided to leave Syria. Trump apparently made the decision on December 14 in a conversation with Turkish President Recep Tayyip Erdogan. He told National Security Advisor John Bolton to prepare the process. For five days nothing changed until Trump began to Tweet about the decision. But much was still left unclear until Trump’s speech at Al-Asad airbase in Iraq on December 26. By that time Secretary of Defense James Mattis and anti-ISIS envoy Brett McGurk had resigned. The visit to Iraq was apparently in the cards for months, but Trump centered part of his speech on the withdrawal decision. But all is not completely Well. John Bolton is coming to Turkey on January 8 and then to Israel, apparently. The US now wants Turkey to help pressure Iran. Some think Turkey can pivot and that the US decision to leave Syria might be a way to encourage Turkey to move away from Russia and Iran. A high level Turkish delegation was in Moscow on December 29, including the foreign minister, defense minister and others. Russian President Vladimir Putin also wants to host a meeting with Turkey and Iran about Syria in January 2019. Considering the close relations on display between Turkey and Iran on December 20 when Erdogan met Rouhani, it’s unclear how Turkey will pivot, or if this is just Washington’s fantasy. Turkey critiqued the US decision to apply sanctions to Iran and has got exemptions from them. Turkey has close dealings with Russia on energy, such as TurkStream, and also an S-400 deal. After being delayed the US approved a delayed Patriot missile sale to Turkey on December 19, but it’s not clear that this will change Ankara’s policy. US Syria policy has been on a roller-coaster in 2018. Secretary of State Rex Tillerson indicated a longer term commitment in January 2018. Trump said the US would leave Syria “very soon” in March. In April Mattis suggested the troops would stay for the “long-haul.” By September Bolton said the US would stay until Iran left Syria. Trump decided to leave Syria. “I made it clear from the beginning that our mission in Syria was to strip ISIS of its military strongholds; we’re not nation building. Rebuilding Syria will require a political solution,” he said. To justify the US decision a variety of theories have been put forth. One of the main concerns is that leaving Syria makes Israel more vulnerable. This is because some have argued over the last two years that Iran is creating a “land bridge” or “corridor” via Iraq and Syria to Lebanon. This was common in Israeli security discussion circles and in the US among observers of the region concerned about Iran’s growth in power. The IDF even created an article about Iran’s threats in Syria. “Iran’s future presence in Syria poses various threats to the prospects of peace within Syria, regional stability, and the security of Israel.” A Washington Institute piece in September notes “Israel has been largely left on its own to counter the Iranian effort to consolidate a land corridor through Syria. With Hezbollah and Shia militias.” The Atlantic Council also discussed the issue in October. Israel Prime Minister Benjamin Netanyahu assured observers that Israel would continue to confront Iran as the US withdraws from Syria. “We are not willing to accept an Iranian entrenchment in Syria that is directed against us.” But Israel’s strike on Syria on December 25 was met by criticism from Russia, saying it was done under the “cover” of civilian flights leaving Damascus airport. Caroline Glick argues that there are upsides to the Trump decision as well. “Since Sunni ISIS was perceived as hostile to Shi’ite Iran, by fighting ISIS, Obama was achieving two goals: He was helping Iran by getting rid of a powerful adversary in Iraq and Syria, and he was selling the idea to the American public that Iran was their ally in a common war against ISIS. Jake Turx agrees. “I have the scoop on the US withdrawal from Syria, which sources confirm to me came [mostly] at the request of Israel… Some big moves about to go down,” he tweeted on December 25. He argues in Ami Magazine that Israel is planning a conflict with Hezbollah and Israel encouraged Trump to withdraw. The logic of this is that somehow US troops in eastern Syria would be vulnerable to Iranian attacks in the case of a war between Israel and Hezbollah and Iran. That they would now be out of the way by withdrawing. This is interesting, but Trump hasn’t mentioned Israel much in relation to the Syria decision. It is true that Trump has anchored his policy in the region on alliances with Israel and Saudi Arabia. In his Khashoggi statement on November 20 Trump mentioned Israel and Saudi Arabia as key allies against Iran. These arguments see clarity after Trump’s move. The chess board will open up with a clear line to Hezbollah in Lebanon and Iran’s forces. No US pieces in the way. No pawns. An open board for the end game. On December 31 a senior diplomatic official said that “Prime Minister Benjamin Netanyahu asked US President Donald Trump in a recent phone call to ensure that the withdrawal of US troops from Syria will be done gradually and over an extended period of time, a senior diplomatic official said Monday in Rio de Janeiro.” This report by Herb Keinon seems to contradict the theory that Israel was part of the plan for US withdrawal. “Trump weighing Netanyahu request for gradual Syria withdrawal,” notes a second report on the same request. Netanyahu is meeting US Secretary of State Mike Pompeo in Brasilia on Tuesday January 1 to discuss Syria. Many are concerned in Israel about the vacuum being left by the US. Iran is the main threat but the solidifying of the Syrian regime will also eventually impact Israel as the spotlight moves from Syria onto Israel. Russia and Turkey both have relations with Israel but have other motives in Syria. The Gulf states are returning to Syria with diplomats and there is an argument that they may seek to pressure Syria to reduce Iran’s role as Damascus seeks to return to the Arab League. The US withdrawal leaves many questions. Even if it is postponed as Graham indicates it might be, the US is clearly leaving. The idea that this was part of a plan related to Israel appears far-fetched. Israel appears to be a loser in this overall. Trump has said it is about fulfilling his campaign promise. The withdrawal may hasten the desire by some Gulf countries to improve relations with Damascus. It’s not clear whether the theory that this will also hasten a Turkey-Iran confrontation in eastern Syria is the case. Iran is moving cautiously and watching and waiting. Turkey is still primarily dealing with Russia on Syria issues, not Washington. Washington appears to have folded its hand or is in the process of folding. Washington is also suffering setbacks in Afghanistan where the Taliban are being asked by the government in Kabul to negotiate. They are now holding a lot of cards and want to see Washington gone after 17 years. US influence appears to be declining. There will be pressure in Iraq against the US as well. 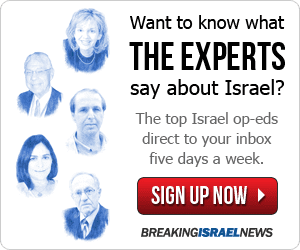 Israel is in the middle of an election cycle now that will last several months into the spring. Iran has just hosted Palestinian Islamic Jihad and Iran thinks it is on a winning streak. This will mean they may test Israel. Israel also has to be careful with its policy of airstrikes in Syria. Over the last year and a half it launched around 200 strikes on Iranian targets. It says it launched another 100 in the years before that. But the window of the chaos that allowed these strikes may be closing Russia is becoming more critical of Israel’s actions. With Syria, Russia and Iran less distracted by the US role in the east, more focus may be on Israel. This is also true in Riyadh which Trump had asked to pay for reconstruction in eastern Syria. If that money now flows through Damascus then it means Syria’s regime will be empowered. Bolton had wanted to use the US presence as leverage against Iran’s presence. Trump didn’t think that made sense. He now talks about a “political” goal in Syria. But the US has worked on a political goal through James Jeffrey and I have detailed how his work was mostly frustrated. That shows that Trump’s policy in Syria may be exactly what he says it is. A way to bring the troops home.